Never in my life would I have believed that a pork chop, pan fried and covered in gravy, would be a weight watchers meal! But here it is! It’s almost too good to be true. I personally didn’t calculate the points (it’s 7 per serving), but it almost makes me wonder if that is even possible! Well, regardless of the point total, I guarantee you that this meal is delicious, whether you’re dieting or not! Seriously, this was a delicious pork chop, and I highly recommend you try it! I personally am not on Weight Watchers counting points or anything, but I use a lot of their recipes because I know they’re fairly healthy and they usually taste great! Who doesn’t want that? Just a side note: I was worried that this would be icky as leftovers because I thought the gravy would congeal in the fridge and be gross the next day. Well, it did congeal in the fridge and looked kinda nasty, but I figured I’d see if it would liquefy again after re-heating in the microwave. I’m so glad I did, because it thinned out nicely and tasted great over my chops even a day later! I say all that to let you know that if you have any of this leftover, don’t look at it straight out of the fridge and throw it away because you’re missing out on some delicious leftovers once it’s been reheated! In a shallow bowl, whisk together egg and skim milk. In another bowl, combine Panko, parsley, thyme, salt and pepper. Heat a large nonstick skillet or cast iron pan. Add 2 Tbsp butter and melt. Dip pork chops in egg mixture, then coat in Panko mixture. Place in pan and cook for 4 minutes per side or until browned. Transfer pork to a large baking sheet coated with nonstick spray. Bake, uncovered, at 425 for 15-20 minutes or until no longer pink. Meanwhile, melt remaining 1 Tbsp butter in pan. Stir in flour. Gradually add beef broth and then milk. Bring to a boil, while continually whisking. Cook until thickened. Serve with pork chops. No place to Print the recipe? Click on Printer Friendly Version right below the recipe title. Thank you Lindsay I did have my glasses on, but somehow I missed it Anxious to try this Always looking for something new You know how that goes Thank again. I love milk gravy but it’s hardly ever served here in New England where I live. This looks excellent – as always !! Thanks so much Cecile! You need to introduce it to your New England friends! I’m on the weight watchers diet and I’m always looking for new recipes to prepare and this recipe looks fabulous !!!!! Can’t wait to try it for 7 points wow that’s great !! Hi Susan! If you want more Weight Watchers Recipe, just use the “category” button on the right side of the page and click on Weight Watchers I have a ton! Good luck on your diet, and I hope you still get to enjoy some good food while you get fit! This is my first time to write/comment but i’ve been receiving/following your recipes for quite a while now and have tried the others. May I just ask if in this recipe can I replace the skim milk with an ordinary powdered milk? Hi Elaine! Thanks for commenting and following my blog! I’ve honestly never really made that substitution so I’m not sure how it would turn out It seems like it wouldn’t be a problem though, as long as you have enough liquid to make it creamy If you give it a try, let us know how it turns out! Those look amazing! I’ve made a few panko dishes…. 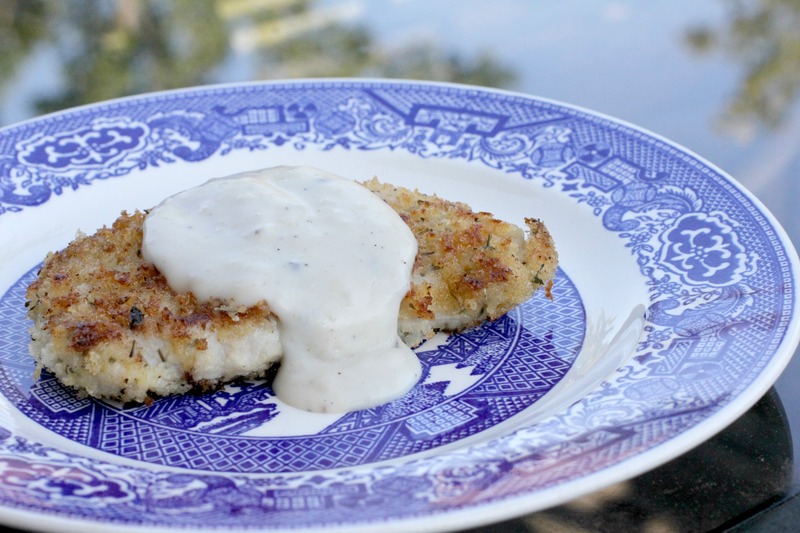 tilapia and chicken… and they’re always a hit! I’ll have to try your gravy out. Thanks for posting! 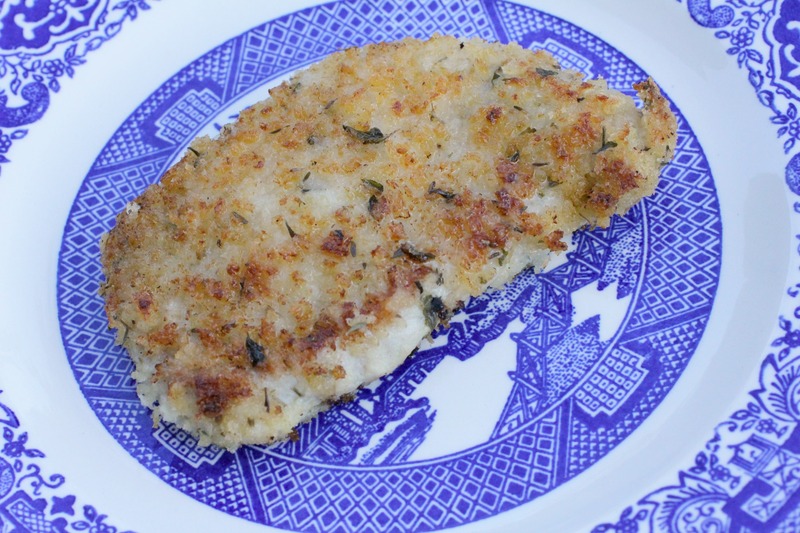 Panko-breaded recipes are always a good choice! I hope you like these pork chops and gravy! Thank you Sonia! There is a “Print” button to the right of the recipe title. Hope that helps!